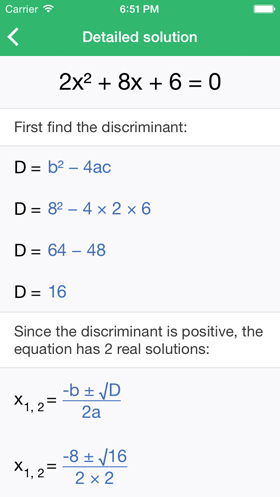 4) And there is more..
You can download Quadratic Master for FREE on the App Store here. It employs freemium model; so some of the functionality is only available in the full version. Check out the App Store description to find out exactly which features are free and which are paid. 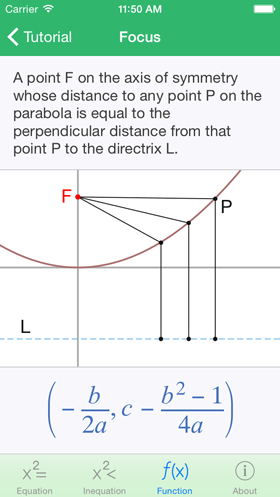 Quadratic Master was originally released in January 2010, and it’s my first app. I started working on the 1.0 version back in December 2009 (over 5 years ago, phew!). 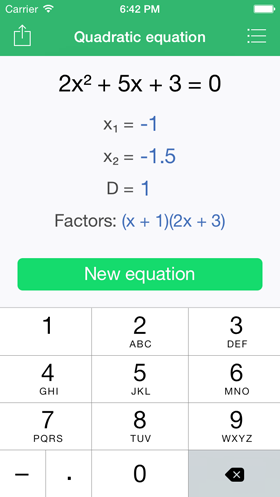 At that time, I was in high school and we were just learning about quadratic equations in our math class, and because I have always been a fan of math, I decided to build an app for it. I learned a lot about iOS development in the process. In September 2010, I released much improved 2.0 version that received moderate success, especially here in Czech Republic. But also in US, it reached #16 place in Top Free Education Apps. 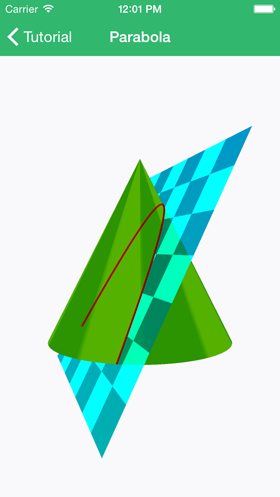 But after that, I worked on some other projects, most notably on Routie. School also took quite a lot of my time. All that resulted in Quadratic Master being neglected for a long time. There was simply never a good time to make the much needed update. 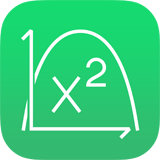 Quadratic Master 2.0 was launched back when iOS 4.0 was new, and in those 4 major releases and 4 years that happened since, everything about the app became extremely outdated. It didn’t support 4″ screens, it didn’t have retina graphics, and most notably, everything had that pre-iOS 7 skeuomorphic look. So sometime during June of this year, I decided that it would be a good time to finally make this much needed update. I believed that the app still has potential and is still useful, so maybe if it looked more attractive, more users would give it a try. So I started working on it. But during Summer holidays, I got stuck with 2 more client apps and then in August/September, I was mostly busy with updating Routie for iOS 8. But after that, I finally had a clean slate and I made the decision to dedicate 100% of my energy and work time to building and releasing Quadratic Master 3.0. So I spent most of October and November doing just that. I rewrote everything from scratch, because of how dated all the things in the project were, and I believe it was the right choice. Trying to somehow ‘update’ the old codebase would be a nightmare. Also, since iOS 8 brings a lot of new changes and there are the iPhones 6 with larger displays, I am confident that now was a pretty good time to make the update. When comparing the old version and the new one, it felt really good to see the huge progress both in the way how iOS apps are being built and in my skills as an iOS developer. Also, the codebase is now clean, fresh, and with strong emphasis on object-oriented design. Maybe this will sound weird, but it simply feels really good to just browse around the Xcode project. The looks and the UX of the app are also so much further than in the 2.0 version. 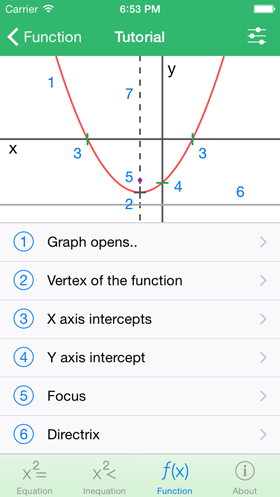 If you used Quadratic Master before, please let me know in the comments! I would love to hear what you think of the update. And even if you didn’t, you are still very welcome to participate. And in case you don’t have use for it, you can still check it out for the UI and the sweet animations that are in there. 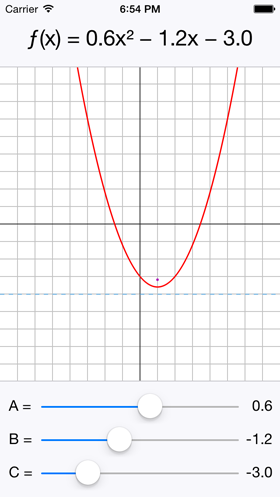 iOS 8 přineslo hodně změn co se vyvíjení aplikací týče, a protože Quadratic Master 3.0 tyto nové postupy využívá, musel jsem odříznout podporu starších zařízení. Chápu že to je pro vás nepříjemné, ale bohužel nic s tím nenadělám.